Whether it rains all day, or the asphalt is hot, whether the dog has aged and its legs and loins are sore, dogs want to go out for a walk with their owners everyday. I conceived of this “doghouse for walks” as a way to at least slightly lighten the burden on dogs in these circumstances. I attached tires to a well-ventilated wooden basket; put in a soft, fluffy cushion; added an adjustable shade to lessen the effects of bright sunshine or rain, and created a place as comfortable as the shade of a tree. The crate floor is designed to be as close to the ground as possible so that the dog could board and disembark by itself. In addition, because it can act as a bed that fits in the entryway or inside the house, it is even more of a mobile doghouse. 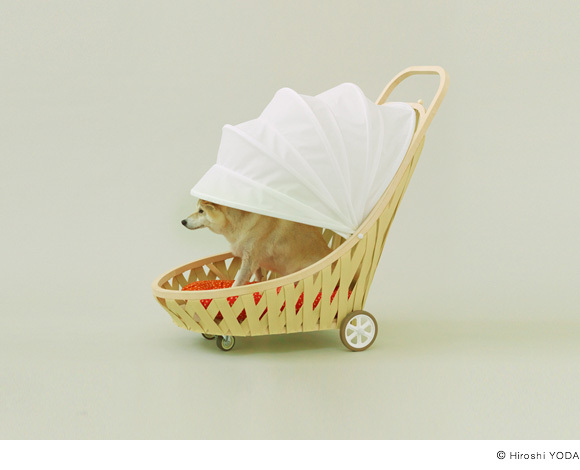 Dogs will certainly look forward to a graceful walk with their owners, rocked in this swaying ship-shaped basket." Born in 1941. Main works: Sendai Mediatheque, TOD’S Omotesando Building, Tama Art University Library (Hachioji campus), The Main Stadium for the World Games 2009 in Kaohsiung (Taiwan R.O.C. ), etc. Under development: Taichung Metropolitan Opera House (Taiwan R.O.C. 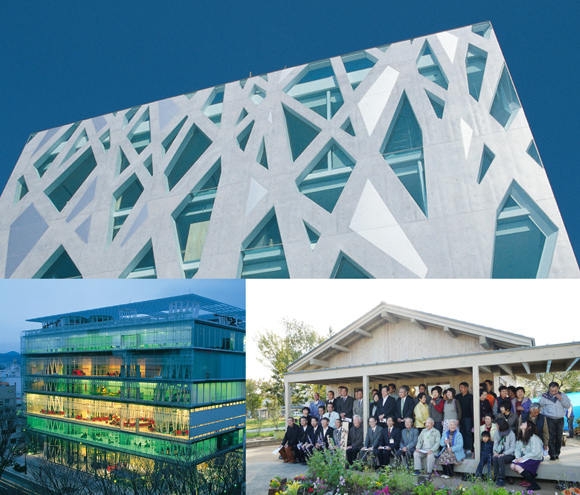 ), Multimedia Complex on the site of Gifu University’s School of Medicine (tentative), etc. Awards and Prizes: Architectural Institute of Japan Prize, Golden Lion for Lifetime Achievement from the 8th International Architecture Exhibition “NEXT” at the Venice Biennale, Royal Gold Medal from The Royal Institute of British Architects, Praemium Imperiale in Honor of Prince Takamatsu, etc.